Anil Ambani-led Reliance Group said Friday that French firm Dassault Aviation's investment in another Reliance firm has no link with the Rafale fighter jet deal, and accused the Congress of resorting to "blatant lies" for political gains. Launching a fresh offensive, Congress chief Rahul Gandhi has alleged that Dassault Aviation, the manufacturer of Rafale jets, paid Rs 284 crore as "first instalment of kickbacks" to Ambani's company. "Dassault's investment in Reliance Airport Developers Limited (RADL) has no link whatsoever with the Rafale contract between the government of India and government of France," the Reliance Infrastructure Ltd said in a statement. "This investment is an independent arms-length transaction based on fair market valuation of the land and other assets of the company, and the future business potential in the airports and related infrastructure sector," it added. The company said the RADL transaction was completed in full compliance with applicable FDI and all other rules and regulations and the information has been disclosed in public domain since December 2017 onwards. The company also termed as "factually incorrect and preposterous" allegations that Dassault's investment in RADL was used to pay for the land in Mihan near Nagpur where Reliance Defence Ltd and the French company are setting up a manufacturing unit for aerospace components. "We repeat it is a blatant lie to state that land at Mihan was bought from funds provided by Dassault," it said. 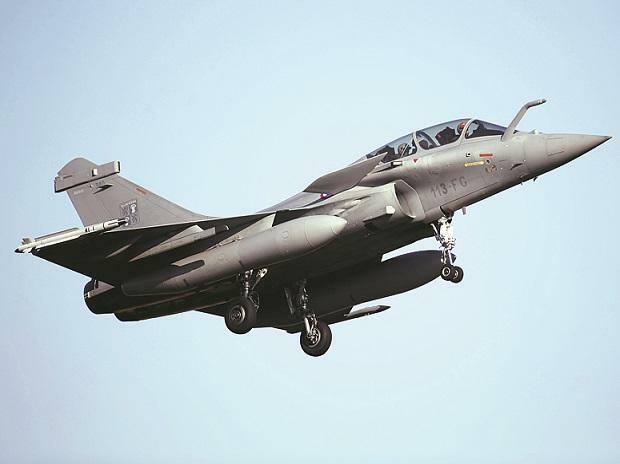 The Congress has accused the government of forcing Dassault Aviation to make Reliance Defence its offset partner for the Rs 580 billion deal to purchase 36 Rafale jets. It alleged that the government helped the Anil Ambani group get a contract worth Rs 300 billion from the deal. "It is deeply unfortunate that the Reliance Group and its Chairman, Anil Ambani, are continuously being dragged into a political battle in view of the impending state and general elections in the country," the Reliance statement said. "The Congress Party has today once again resorted to blatant lies and distorted facts to mount an unwarranted campaign of calumny and falsehoods against the Reliance Group and its Chairman Mr Anil Ambani personally," it alleged. The company said the investment by Dassault in RADL and purchase of land by Reliance Infra for setting up a manufacturing facility in Mihan under a joint venture between Reliance Defence Ltd and Dassault are two different and independent transactions. The foundation stone of the manufacturing facility under the Dassault Reliance Aerospace Ltd (DRAL) was laid in October 2017. "The Dassault investment in DRAL and RADL are two independent and stand alone business investments and in both cases, funds have been received by the companies and not a single rupee by Mr Anil Ambani in his personal capacity," the company said. "Therefore, any suggestion of any payment to Anil Ambani is absolutely false and mischievous," it said. The Reliance statement also said that the Indian Government, French government, Dassault and Reliance have clarified on multiple occasions that there is no offset contract for Rs 300 billion to Reliance as alleged by the Congress.